Towards the end of my senior year as an undergrad, I remember feeling lucky that I had an answer to the, often dreaded, question, “What are your plans after graduation?” I was able to confidently respond with my intent to join AgriCorps and work in Ghana, Africa for 11 months. Granted, this was only one year of my life that I had planned ahead of me, but it was something. At that point, I wasn’t entirely sure what my role would be in the world. My farm background and love for plants and soil led me to believe that I would somehow be connected to the ag industry…but, how? Six months later, I knew. In a doorless, dusty classroom, with a broken chalkboard and more students than desks, I found my passion: teaching. The students I taught were, hands-down, the most important part of my year in Ghana. I found inspiration in the small “Aha!” moments, and I knew that this was something I had to pursue when I returned home. At AgCareers.com, we really stress to our audience (and our employees) the importance of career education. While many of us are often caught up in our professional lives, it’s important to remember continued growth. A great way to continue to learn about the agricultural field as well as professional development is to follow particular social media accounts geared toward your interests as well as career preparation. The following are some social media accounts that I would recommend if you are interested in becoming a more well-rounded professional ready for anything from writing a resume, an interview, or your first performance review. Or just follow some of these accounts to get a better idea of what your industry is really like. 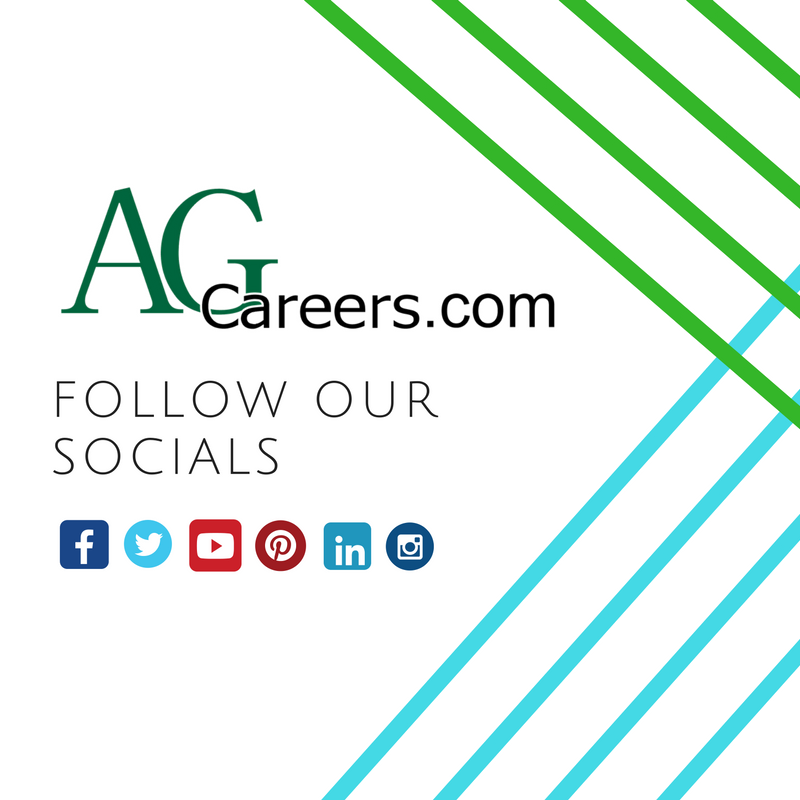 Shameless plug: follow AgCareers.com on our available social networks. 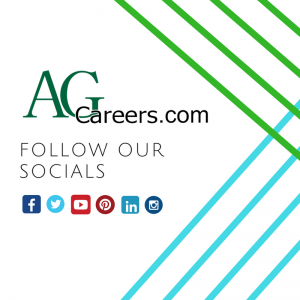 Whether you’re looking for career development and preparation or agricultural knowledge, you’ll find it all with AgCareers.com. Follow us on Facebook, Twitter, Instagram, Pinterest, LinkedIn, and YouTube. Also, if you’re interested in relocating to or already reside in Australia, we have an AgCareers.com Australia Twitter account. You’ve applied for a job and were just called for an interview. You’re excited, but you can already feel the butterflies in your stomach. Do you believe in yourself and your abilities to succeed in this potential new job? Even if you are lacking in self-confidence, you can take action before an interview to give yourself a much-needed mental boost. Do a little research before you sit down for the interview. Prepping will help you go into the interview with increased confidence and poise. 1. Inform yourself about the potential employer. Google the organization to see if they’ve been in the news lately. Is the organization non-profit, privately owned or publicly traded? Check out their company website, examine their mission statement and goals. Look at their career section for information about benefits and company policies that might guide your answer to “Why do you want to work for our organization?” Make sure you understand what the business really does before you make your way to the interview. Ashley Collins, AgCareers.com’s Education & Marketing Manager, has been with the company full-time for nearly 12 years. 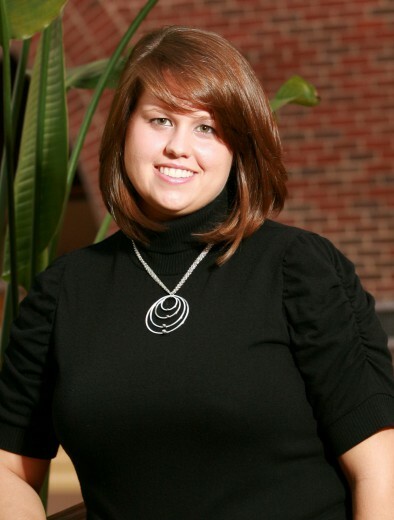 In 2004 Ashley worked for eight months as the first AgCareers.com intern. She works from a home office in North Carolina. A typical day could include corresponding with stakeholders of our business whom I manage our relationship with such as National FFA, AFA, STEM Connector and the National Teach Ag Campaign. Or it could include working with some of the companies that utilize us that have an interest in recruiting or retaining young people into their businesses. It could also include working on market research projects like our internship benchmark survey, or high demand career profiles. Another day could be filled with conference calls or face-to-face meetings with clients, stakeholders or speaking to a group of students either attending a national conference or on their campus via a virtual visit. I enjoy that the core of our business helps people achieve their career goals. Our job board, the market research we publish, our social media outreach is all part of providing a service that helps people. Even if you’re not currently looking for a job, watch our website and monitor the jobs that are posted. Job demand can be a great indicator of what’s happening in the industry. You can tell a lot about the direction that companies are taking based upon the volume and type jobs that they post.